Speakers for people, not room. We don't build wireless speakers to sit on bookshelves and mantels. 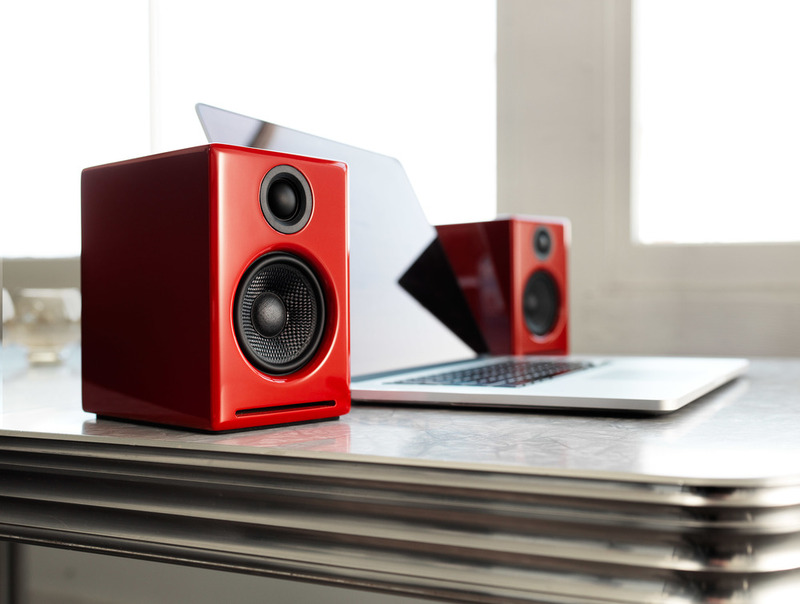 We build the perfect speakers for people and their crazy, colourful, adventurous, spontaneous, always on-the-go lives. Personal speakers that make music social. Speakers built like no other speakers. And that means our speakers are designed to blast amazing sound in every direction; to go wherever you go and do whatever you do. Even when you're dancing in the rain, trekking the world, or just throwing midnight raves in the forest. We make waterproof, beach-proof, festival-proof speakers that are guaranteed to make you smile. Future-proof updates. We believe that the best things in life should keep getting better–our speakers included. Our speaker and app updates add new features, improve performance which basically means your speaker will be the coolest thing in the world, today and well into the future. Now supporting Siri and Google Now! Come on in for a demo of the UE Boom 2 – the Ultimate accessory for the adventure seeker. High-Resolution Desktop Music Production with Classic Analog Sound. The new Apollo Twin MkII is a ground-up redesign of the world's most popular professional desktop recording interface for Mac and Windows - delivering enhanced audio conversion with the tone, feel, and flow of analog recording. The key to its analog magic is onboard UAD-2 SOLO or DUO DSP Processing, which powers the UAD plug-ins while reducing the strain on your host CPU. Apollo Twin includes the "Realtime Analog Classics" plug-in bundle, featuring a choice selection of vintage compressors, EQs and reverb, plus guitar amps and tube mic preamp emulation. From there, you can choose from a vast and expanding collection of plug-ins in the UA Online Store. matter what recording software you use. Apollo 8 offers 18 x 24 simultaneous inputs/outputs, with two built-in Thunderbolt ports. Thanks to Apollo Expanded software, users of any Thunderbolt-equipped Apollo Twin, Apollo 8, Apollo 8p, and Apollo 16 audio interfaces can combine up to four Apollos and six total UAD-2 devices* — adding I/O and DSP as your studio grows. Apollo 8 also provides seamless integration with previous generation Apollos over Thunderbolt.